Does an ice cube melt more quickly in salt water or in freshwater? 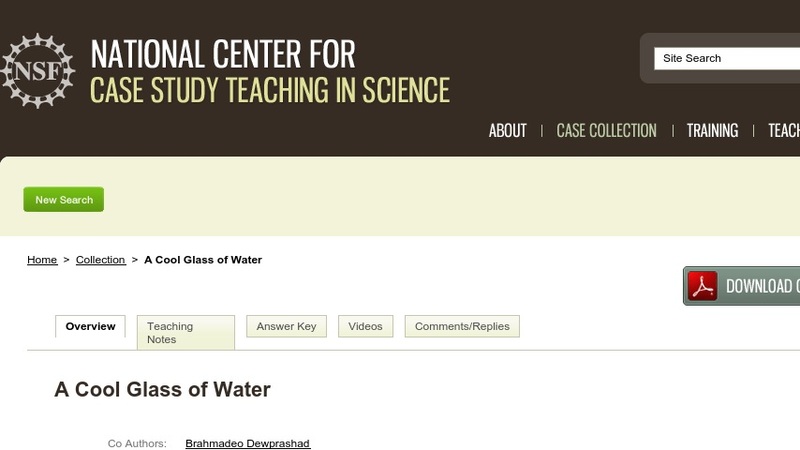 The answer surprises the group of student science teachers portrayed in this case study. To explain the phenomenon they must figure out the interactions between two clusters of concepts: (1) density and its relationship to floating or sinking, and (2) three modes of heat or energy transfer due to a temperature difference (particularly conduction and convection, with an optional discussion of radiation). The case can be adapted for use in general education science courses or for introductory physics or chemistry courses.